Exclusive to Wines on the Green, Dawson Street, D2. 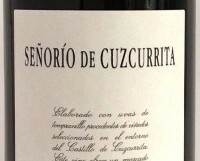 This was a standout wine in a recent Rioja tasting. The importer tells me that is from a single old vineyard (planted 1970) surrounding a medieval castle (take a look online). They also tell me that is cheaper here than in Spain, surely a reason to go out and buy it. I enjoyed it over three evenings and it showed no sign of tiring. Great wine. This is gorgeous, mature, fascinating wine; ripe, sweet perfectly ripe strawberry and dark fruits laced with a soft, dusty earthiness and a definite minerality. A little oak on the finish and good length.